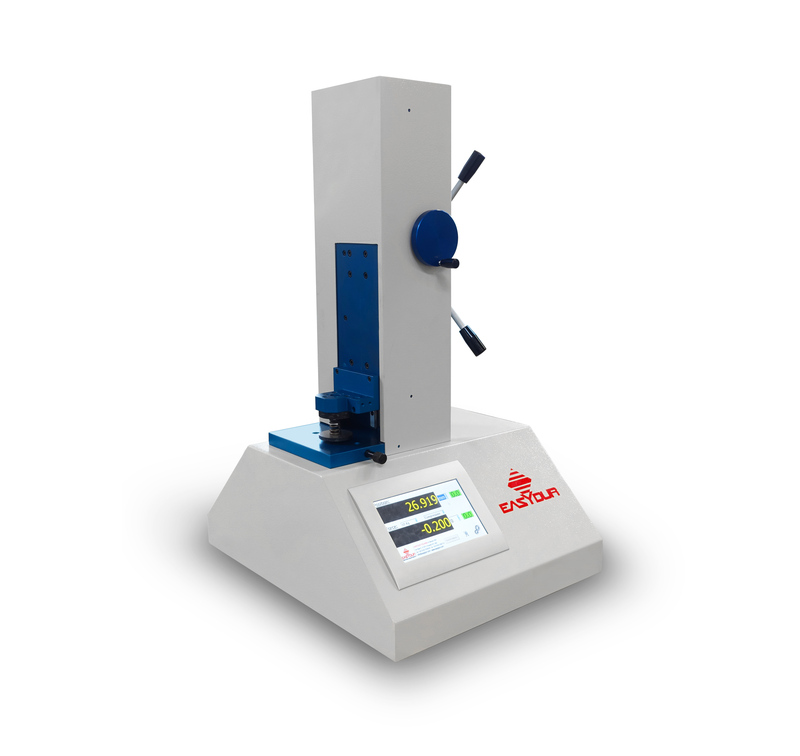 DOMO, is a manually operated spring tester with two speeds (fast and slow) and with two adjustable stops for performing series of tests. It will be possible to check the force and length of compression and traction springs with the touch-screen panel. The structure is C-shaped, with a working opening of 197 mm and with the possibility of installing a spring guiding rod. The instrument is equipped with an incremental optical scale (on request an absolute linear encoder can be fitted) and an electronic load cell for measuring the loads acting on the spring. The sagging of the load cell is self-compensated and, on request, up to 2 cells can be installed (1-500 N). The new electronics allow a maximum resolution of up to 100,000 divisions. The position and force are shown in real time on the broad and luminous touch-screen display. The measuring units can be changed easily and the measurement tolerances are easily set. Data exported by USB connection, easily importable in Excel.